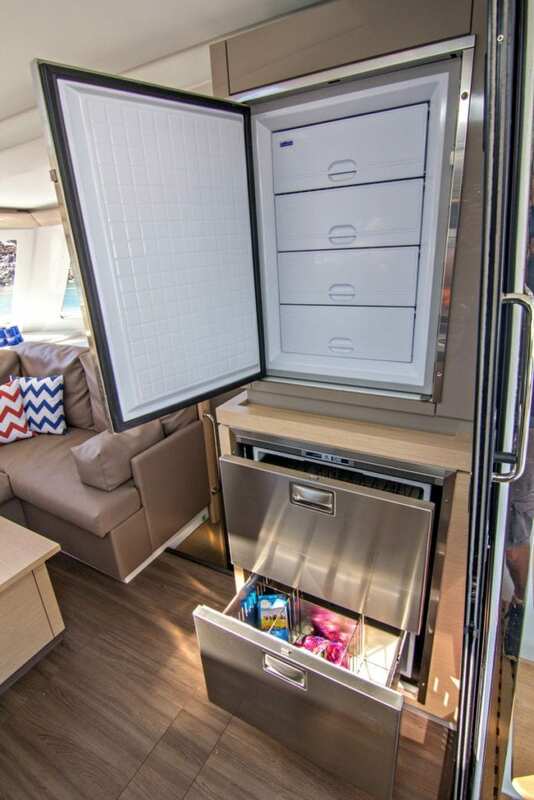 Deck/Transom shower, 80 ltr esky, cabin fans. 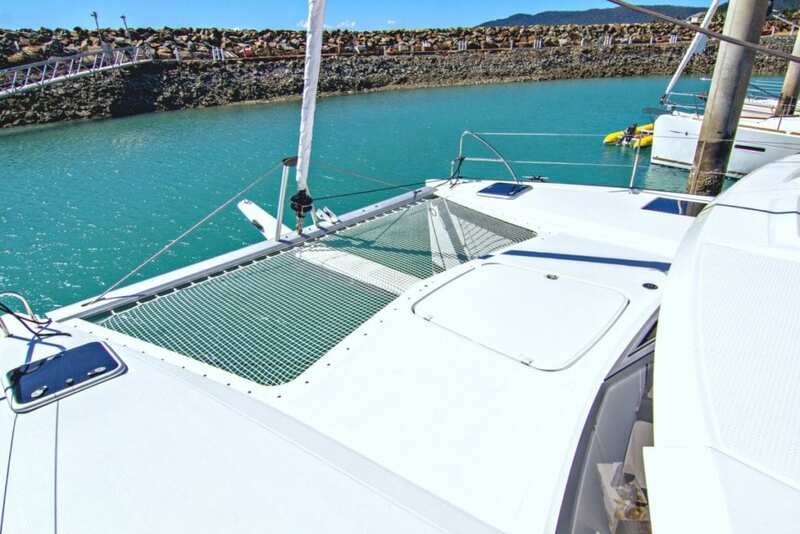 The Fountaine Pajot Lucia ’Mandala’ 40’ Sailing Catamaran is yet another ideal vessel from our fleet to sail around the Whitsunday Islands on your next Bareboat Charter. 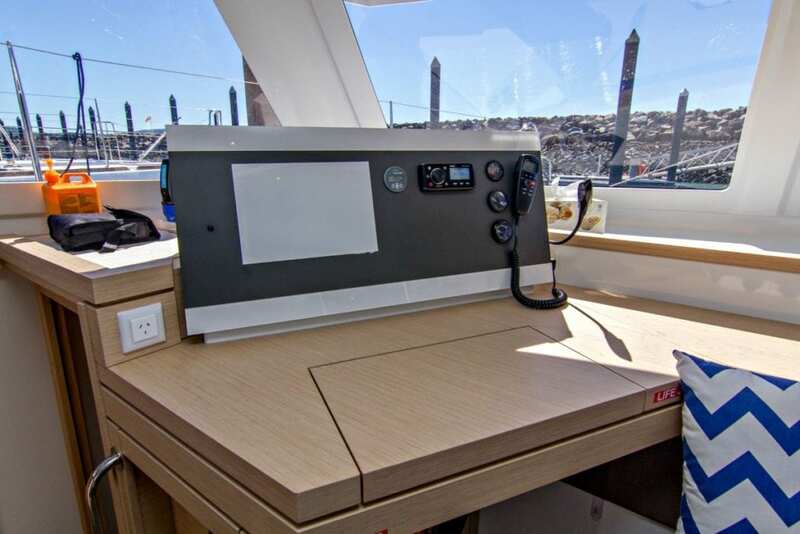 The helm accommodates 3 comfortably affording excellent visibility above the deckhouse. 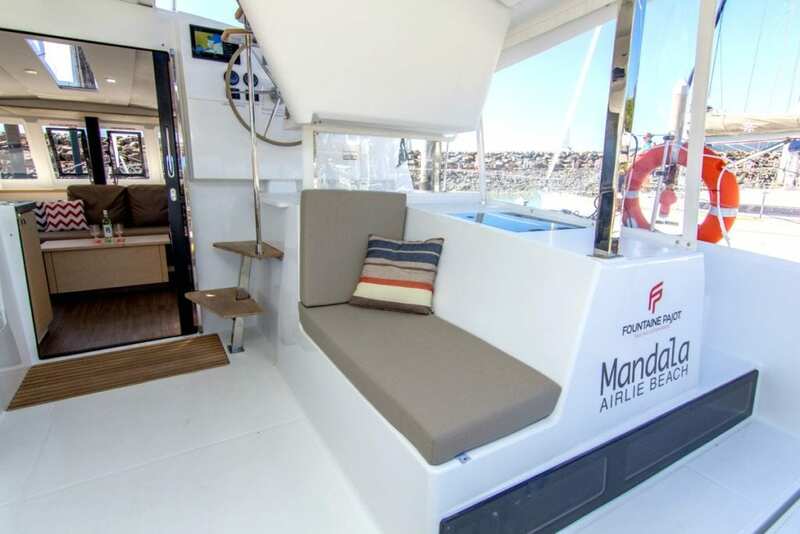 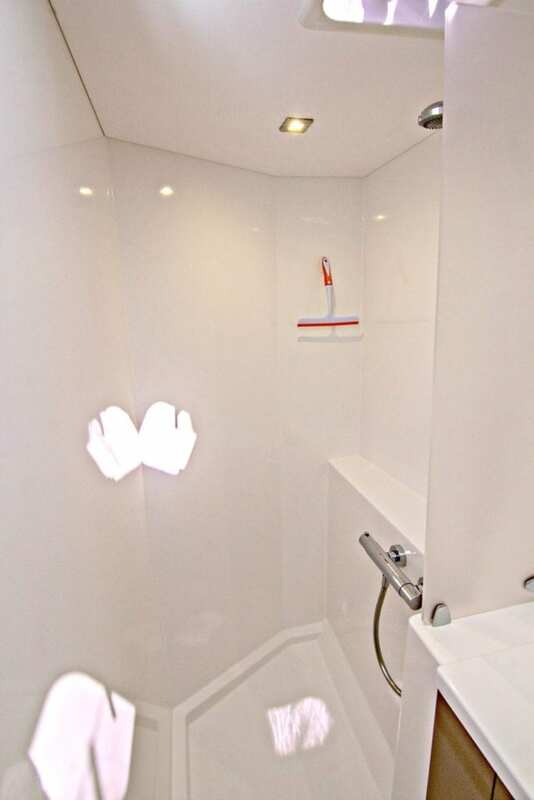 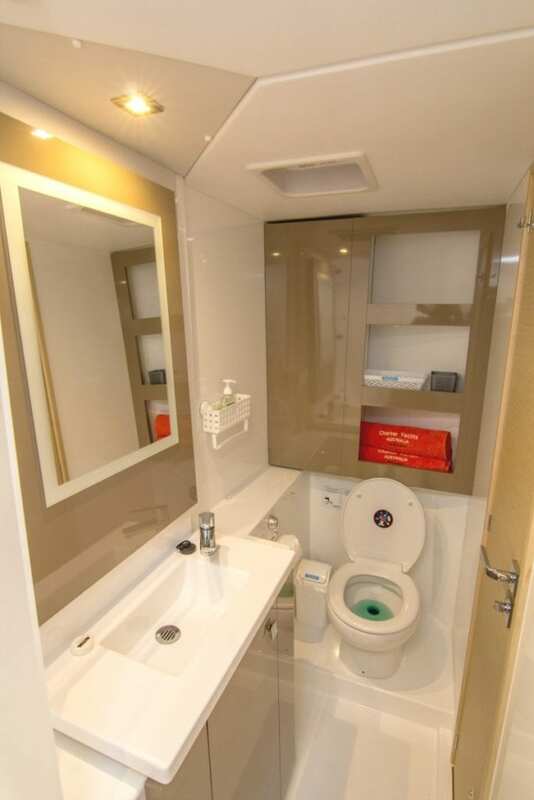 With 4 double cabins to comfortably accommodate up to 8 crew, and two bathrooms featuring separate showers (one on each hull, mid ship) ‘Mandala’ is ideal for multiple families (take a hull each), couples or smaller groups that want extra space with still being able to handle under sail with minimal crew. 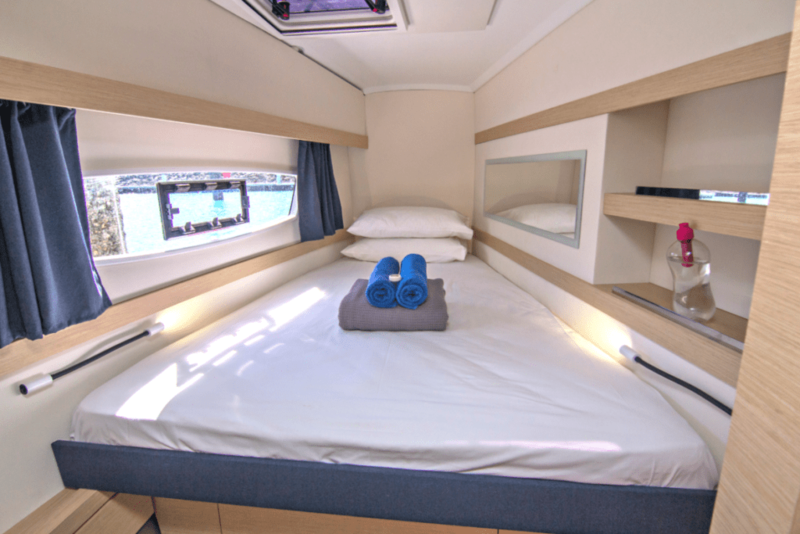 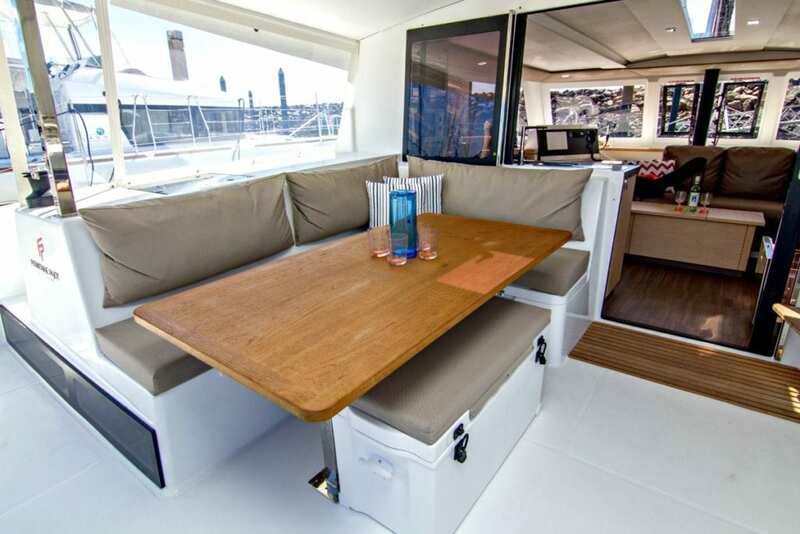 The starboard aft cabin has a “walk around” bed and the other three have semi-island configurations. 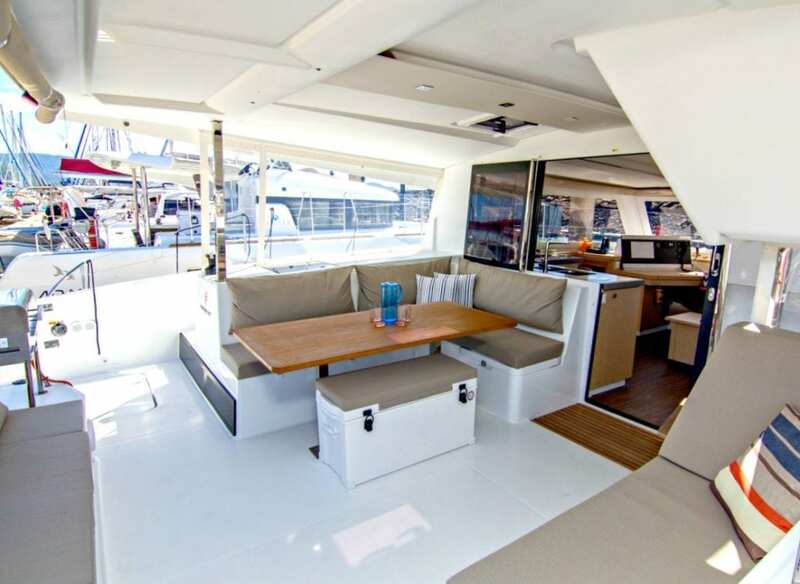 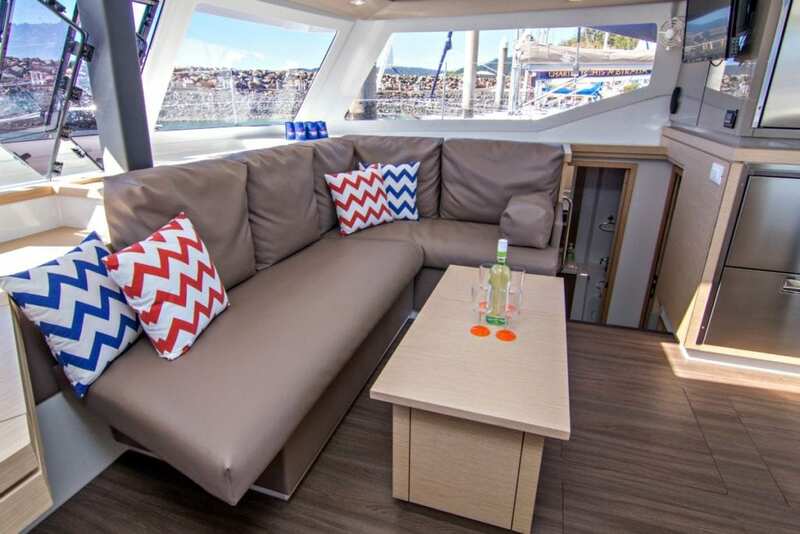 Beautifully appointed, The Fountaine Pajot Lucia has all the contemporary conveniences you need for carefree cruising, so you can relax in comfort while experiencing the catamaran’s impressive performance at sea. 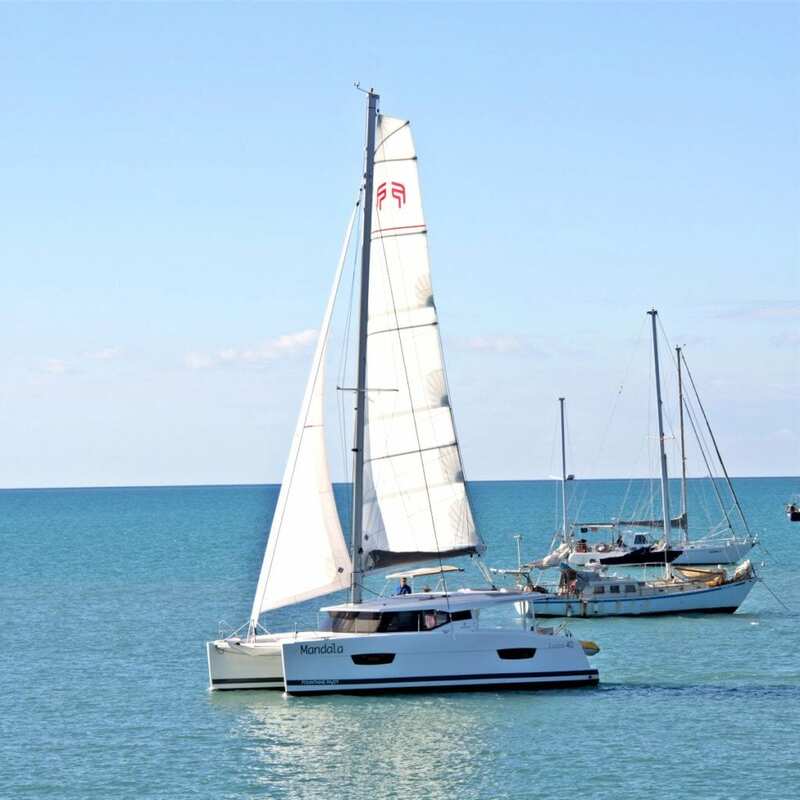 This boat is ideally suited to sailing in these magical waters and we heartily recommend the boat to any prospective charterers. 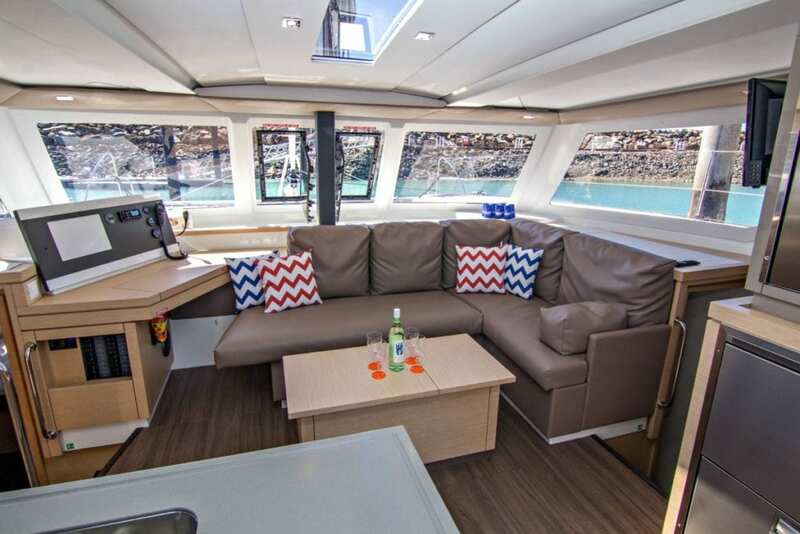 Not too big, all controls at the helm position, superb visibility, comfortable beds, plenty of seating and relaxation spaces, practical and stylish amenities make for comfortable cruising. 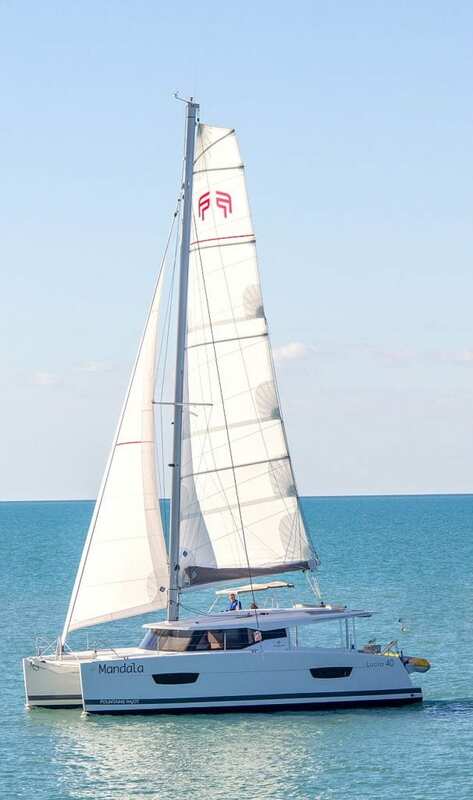 Safe sailing and enjoy!